The Round Table in the „floating restaurant” will be followed by a dinner generously sponsored by Baker McKenzie, Szesckay and zeiler.partners. And the top Budapest night clubs are just a stone’s throw away. For those who stay overnight, there is a number of hotels close-by (e.g. Marriott Budapest; Intercontinental Budapest; Sofitel Budapest Chain Bridge; ROOMbach; Hotel Sas One; Promenade City Hotel; Eurostars Budapest Center). 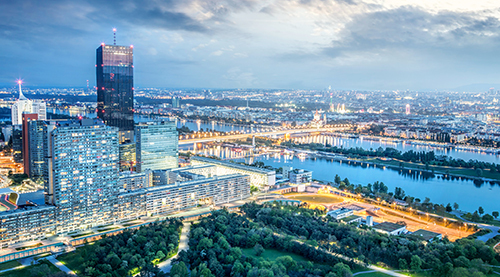 Getting to Budapest is easiest by train with a direct connection from Vienna departing at 2:42 pm at Vienna Central Station on 3 May (arrival in Budapest: 5:19 pm). As always, the Round Table is free of charge. To facilitate organization, however, please register by using the "Register" button above.